I hear many stories about young women racing to have spinal fusion surgery for scoliosis, in the quest to have to have a perfectly straight spine. What I’m never sure about is whether any of these women had thoroughly explored other options before making that life-altering decision – options like Schroth Method, Pilates, physical therapy, structural integration therapy and more. I would like to think that anyone with scoliosis would only consider spinal fusion surgery as a last resort. Surely, someone would educate themselves before going under the knife, right? I recently took a yoga class from a young woman who began practicing yoga after back surgery. I had reviewed her bio beforehand online and she piqued my interest. She was a college student who had undergone pretty serious back surgery, and started doing yoga soon thereafter. Her doctors were amazed at how well she recovered. She attributed her successful rehabilitation to her yoga practice. Because of that, she decided to go through yoga teacher training and become a yoga instructor. When I went in for my class, I asked her what type of surgery she had, and sure enough, she’d had spinal fusion surgery for her scoliosis. I asked her how much of her spine was fused and she turned around and happily showed me her scar. Her fusion ran the length of her back, from her neck to the bottom of her spine. I then asked what her what her degrees of curvature were before the surgery. Offhandedly, she said, “14 or 15 degrees, I don’t know. I also had rotation in my spine and my doctor said it might be hurting my lungs, so my parents just decided immediately to do surgery.” I politely smiled, held my tongue and walked into the yoga class. Argh!! Are you kidding me?! So much naiveté and ignorance. The information she told me was either incorrect or the doctor who performed her surgery should be sued for malpractice. She had a horribly horrific surgery, and was clueless about it, and her parents seemed equally as clueless. Scenarios like this make my blood boil! 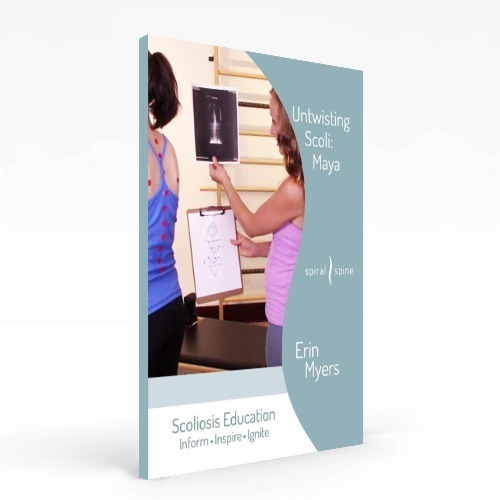 I want to stand on my soapbox and preach everything I know about scoliosis to the world. If you don’t personally know anyone who has gone through spinal fusion surgery, and you are even thinking about considering it for yourself or someone you love, read my account of a young girl who had no choice but to have the surgery in my book, The Beautiful Scoliotic Back – it will make you think twice about surgery before trying other options. Spinal fusion surgery is never my first suggestion for helping scoliosis, yet I will certainly admit that there can be a time and a place (particularly when internal organs are compromised). The problem with situations like the yoga instructor mentioned above is that no other therapies were tried and/or her surgeon didn’t suggest any. To top it off, this beautiful young woman was clueless about her spine and the metal that now permanently lived in her body. The one good thing from all of this was that she taught a wonderful yoga class and has strengthened her body beautifully. Her yoga knowledge was admirable, especially for being in her early 20s. At such a young age, she has been through so much and yet is able to calm her mind and teach others to do it as well. I’ll use her words as I finish this post: “Don’t compare yourself to anyone else. Just be happy. Move and make your body happy.” Unfortunately, we’ll never know if she could have achieved this type of happiness without going under the knife. 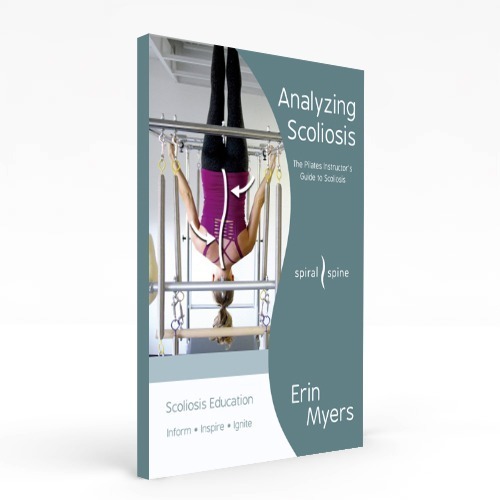 No matter where you are in your journey, it’s your responsibility to educate yourself on your individual scoliosis. 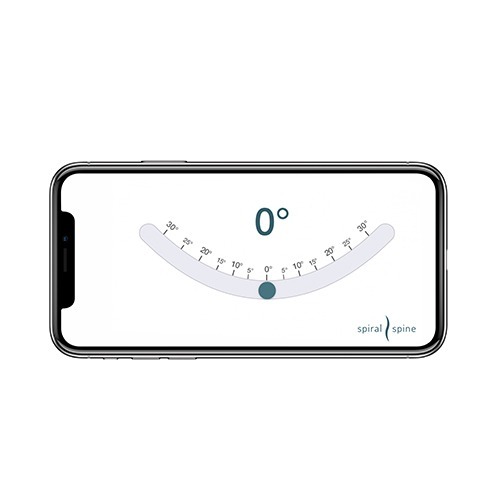 Particularly if you are considering spinal fusion surgery, you owe it yourself to try different movement therapies before making an irreversible decision that will affect you for the rest of your life. Have any of you had surgery? Have any of you decided against surgery? Let’s hear your stories in the Comments section below. Is Back Surgery my Only Option?